Nashville, TN (September 22, 2010) -- While there is no actual "Red Barn," the RED BARN RADIO Syndicated show (redbarnradio.com) is alive and well - and drawing roots-oriented performers from Kentucky and beyond. On Wednesday, September 29, THE ROYS will perform from 7-8 p.m. EDT at The Performance Hall at Arts Place (161 North Mill Street, Lexington) and raise the rafters with their high-energy country/bluegrass sound. "It's our first time to play the show," says Lee. "We're really honored to be invited to perform where so many great entertainers have played." Red Barn Radio is a syndicated weekly live radio broadcast that showcases musicians who all share one thing in common-- a love and passion for the music of Kentucky. Now in its ninth season, the weekly program offers up lively traditionalism and interesting guests in an intimate interview/performance setting. THE ROYS should fit right in; the talented brother and sister are the reigning Inspirational Country Music Duo of the Year, and have been nominated for that honor again this year. Additionally, "Beautiful," from their upcoming CD, is nominated for 2010 Christian Country Song of the Year. Last week Lee and Elaine were on hand to perform and celebrate the official Grand Opening of Eddie Montgomery's Steakhouse in Harrodsburg, KY in support of the charity, Camp Horsin' Around. They recently made their national television debut on the annual Jerry Lewis Labor Day Muscular Dystrophy Association telethon, and in August, they traveled to Bogota, Columbia, South America as part of an outreach mission sponsored by Compassion International. Fans can hear THE ROYS' performance on Red Barn Radio at 9 p.m.on Saturdays via WEKU 88.9 Richmond and its signals (106.7 Frankfort; 90.9 Hazard; 88.5 Corbin; 96.9 Barbourville; 102.5 Middlesboro; 95.1 Pikeville), and again at 11 p.m. on WUKY 91.3 Lexington. The program is archived at http://www.wgad.net/. 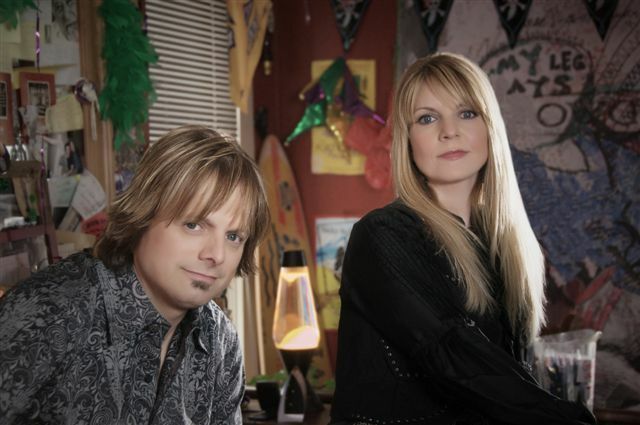 Learn more about Lee and Elaine at http://www.theroysonline.com/.